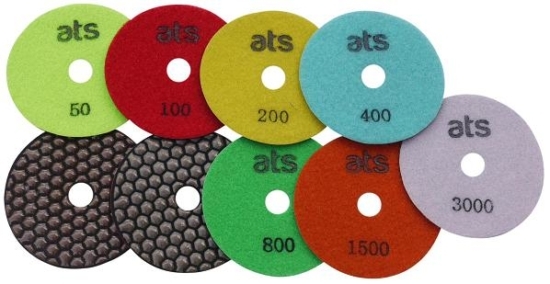 Available in the following sizes : 100mm (4") 125mm (5") 150mm (6") 178mm (7") Designed for use with a polishing machine or variable speed angle grinder in combination with a velcro backer pad. 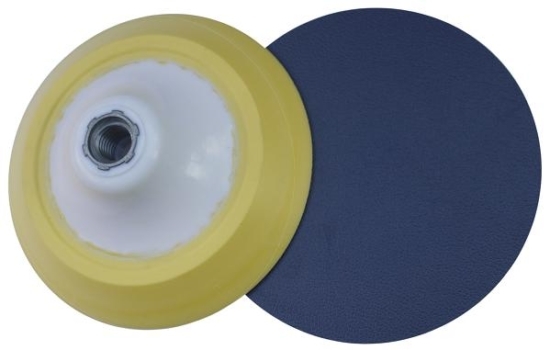 Our own brand of Dry floor restoration pads available in 430mm (17") and 510mm (20") these are an upscale version of our restoration pads listed further down the page. 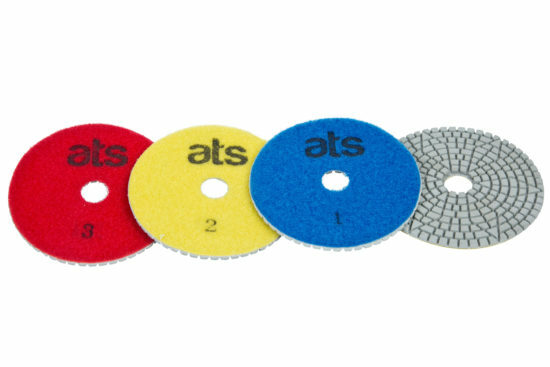 5 Step wet polishing pad system designed for granite, marble and lighter quartz or engineered stone. 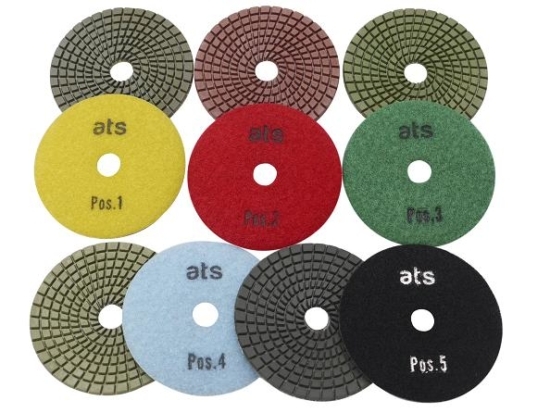 5 Step wet polishing pad system designed for granite, marble and darker quartz or engineered stone. Normal flexibility allowing polishing of internal radii. 100mm diameter and velcro backed. 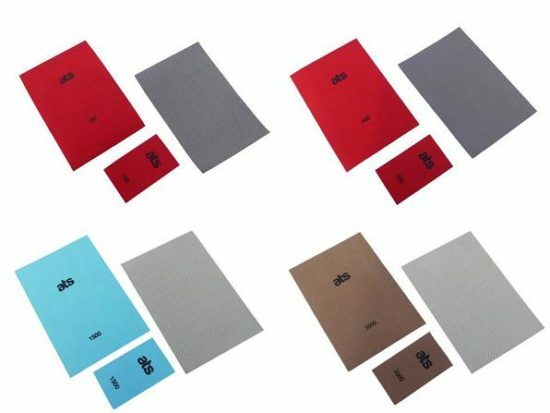 Designed for professional use, long lasting with a high quality finish. 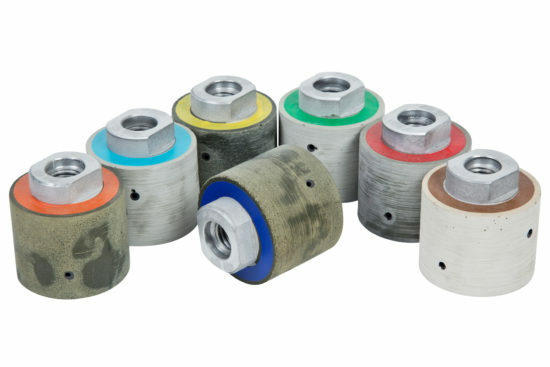 Diamond resin drainer groove flute wheels with aluminium centre. 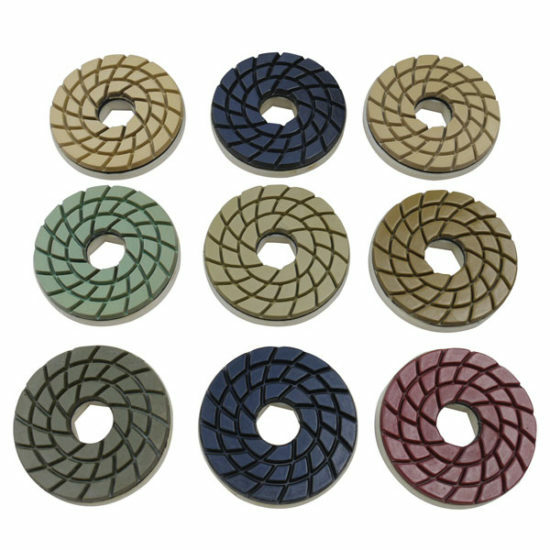 Use in conjunction with our vacuum brazed groove wheels to bring the flutes up to a high shine. 100mm diameter with 22.23mm centre bore to fit directly to your hand held variable speed polisher grinder. Designed for wet use but can be used dry although this will reduce their lifespan. 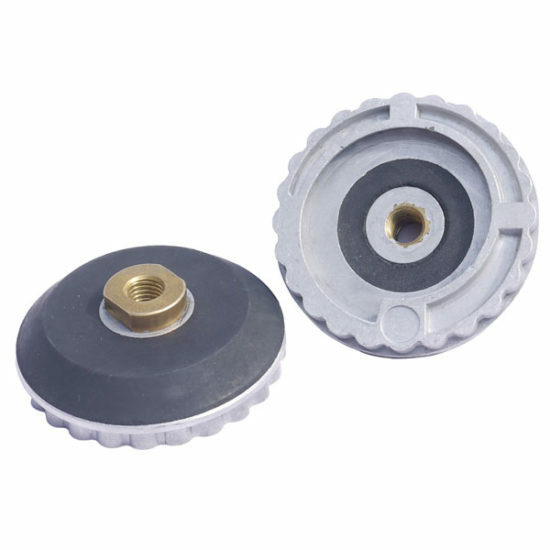 Ideal speed is 2000rpm, available in 10mm or 12mm diameter. 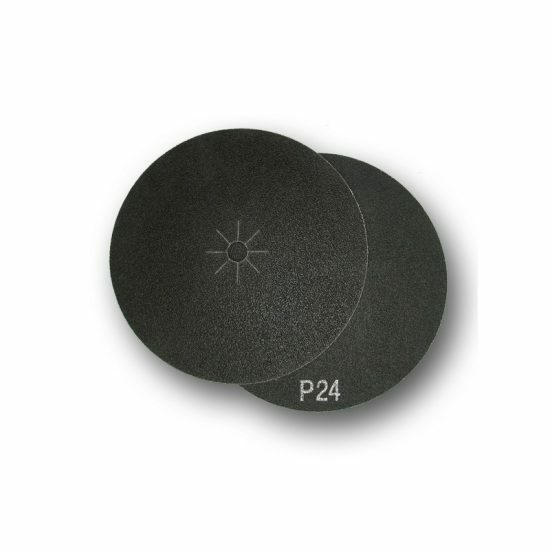 Polish or clean your worktop drainer grooves with these easy to use diamond hand pads. 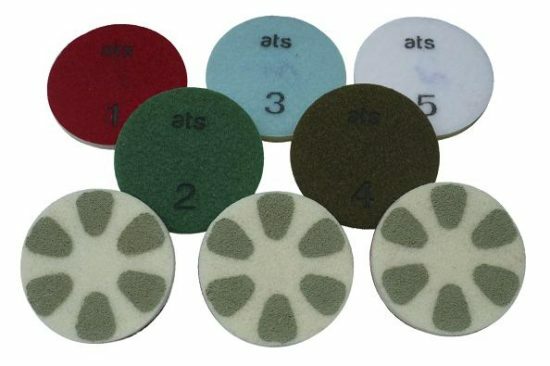 A new generation 3 step diamond polishing pads wet system for polishing granite, Quartz and engineered stone. Designed for wet use only and aimed at the professional user. 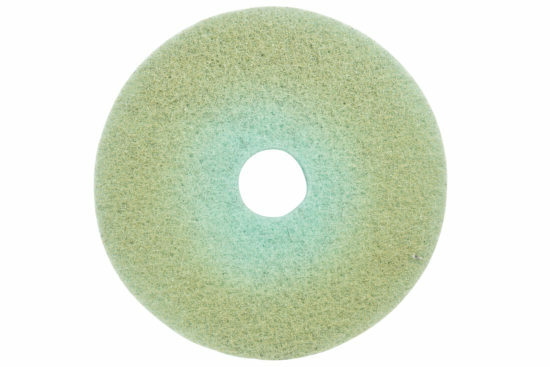 Often used in conjunction with out 30# grit copper pad to smooth out the material before polishing starts. 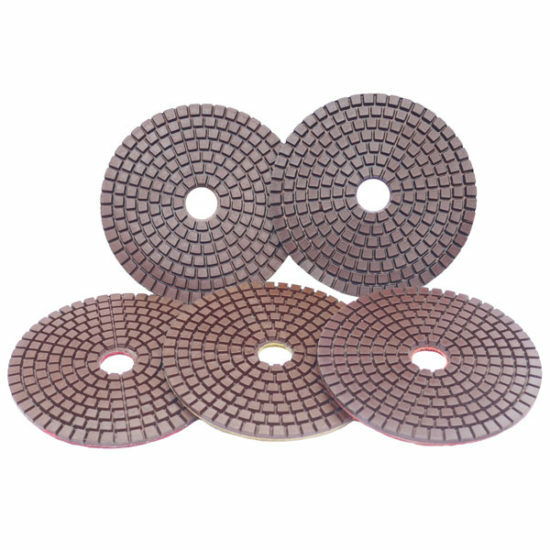 A 100mm 3 step diamond polishing pad system for polishing lighter coloured materials particualrly Quartz. Vlecro backed and particualrly flexible. 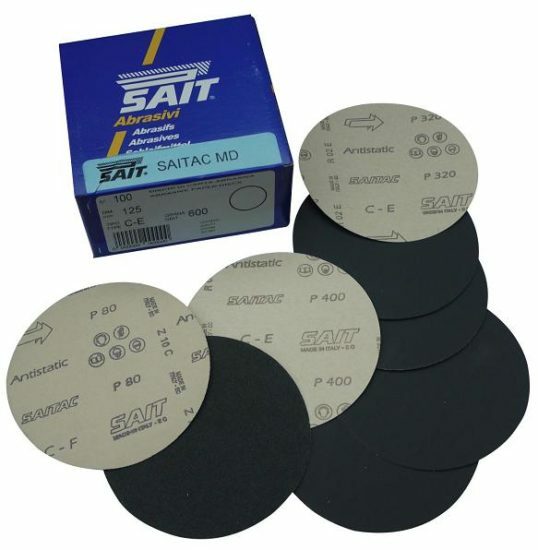 SAITSCREEN 407mm Abrasive screens impregnated with silicon carbide. 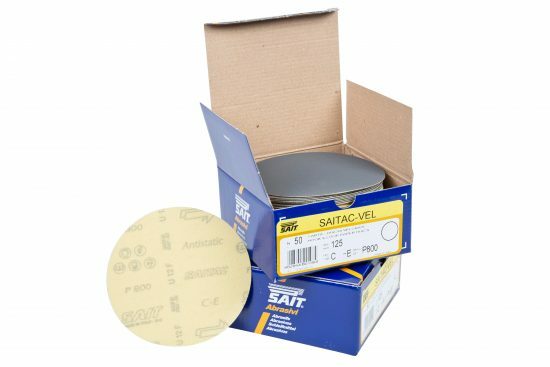 SAITAC - DF & SAITEX - DF 425mm Double faced paper discs and Double faced cloth discs. Identical to our foam backed diamond hand pads, just without the foam. 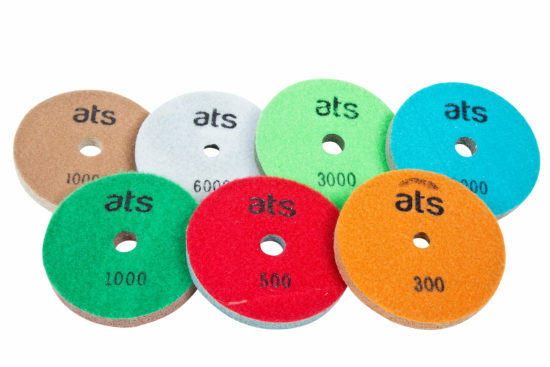 Ideal for final finishing of all natural stone, perfect for wrapping around your finger to finish drainer grooves or those awkward to reach tight spots. Also good for taking the sharp edges off glass, ceramic and porcelain. 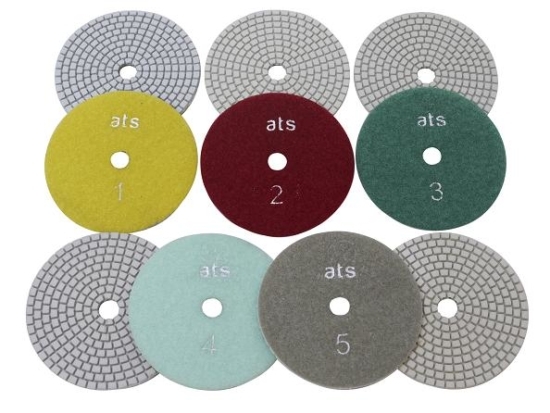 The are the same product as our Diamond Hand Polishing pads but shaped to fit Oscillating multi tools. Grits #50 through #400 are electroplated diamond. #800 through #3000 are resin impregnated diamond. Can be used wet or dry, wet use will increase their lifespan. 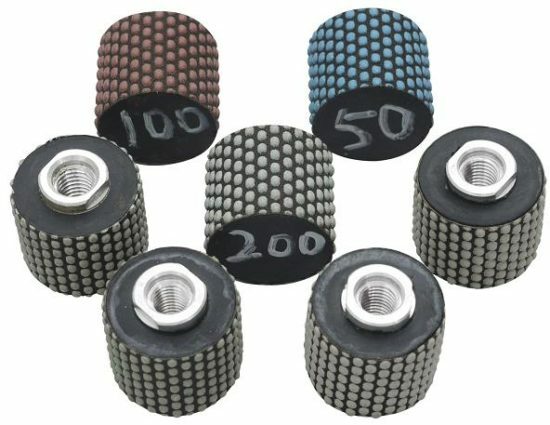 Dry Diamond Polishing drums made to the same specification as our Super Premium Dry polishing pads, M14 Thread. 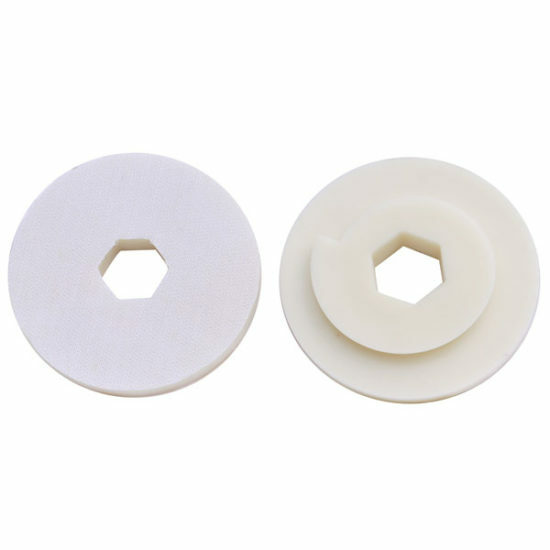 Velcro backed diamond resin floor polishing pads for Marble. 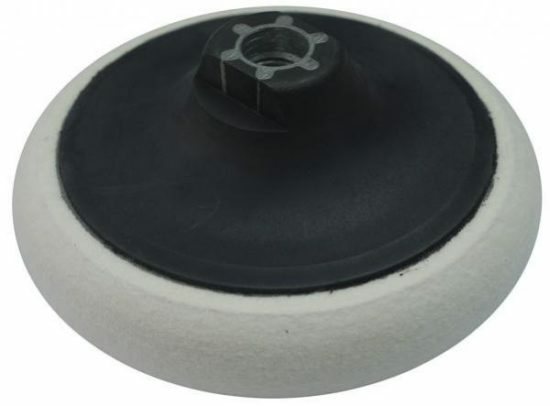 Ideal for use under larger rotary machines for existing marble floor polishing and restoration. 100mm x 10mm thick designed for wet use only. Value for money combined with a quality polish. 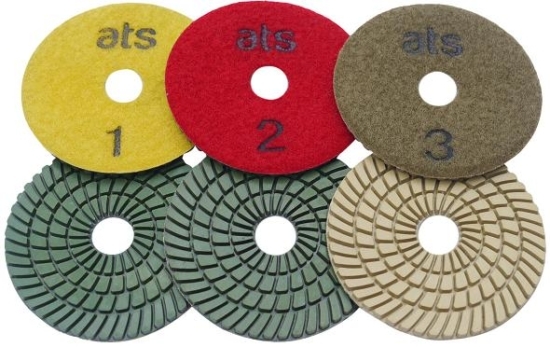 The set of 7 pads is supplied with one pad from each grit level. Ideal for use on Granite and harder marbles. 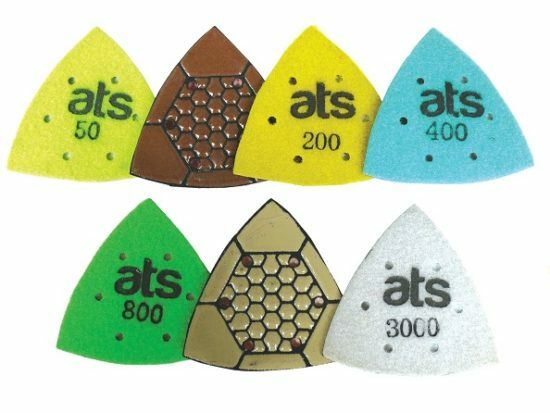 Specifically designed to be used dry with the distinctive honeycomb pattern. 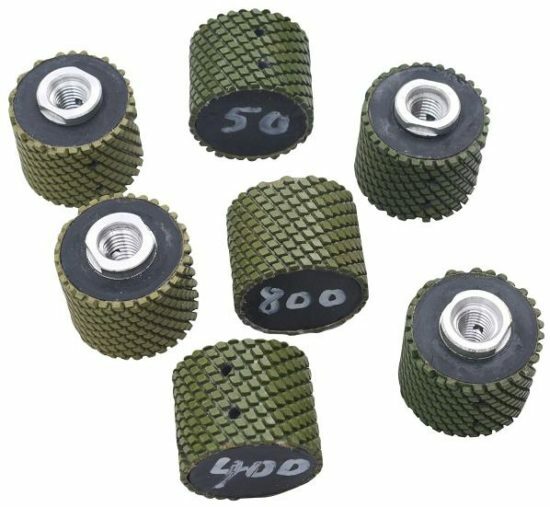 Designed for wet use on polishing machines or variable speed angle grinders in combination with a backer pad at speeds less than 4500rpm. This is an ideal set for a one off job or for infrequent users. 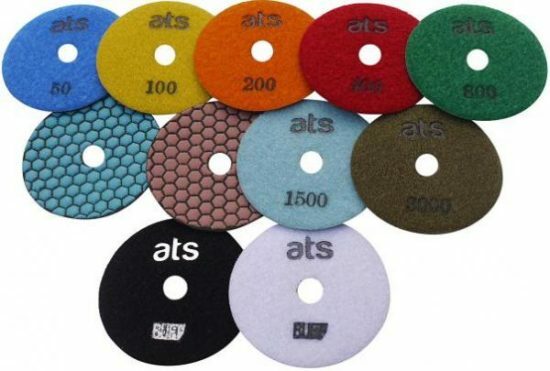 ATS rigid sponge restoration, repolishing pads, velcro backed. Felt polishing mop M14 fitment. 125mm diameter, 25mm thickness. 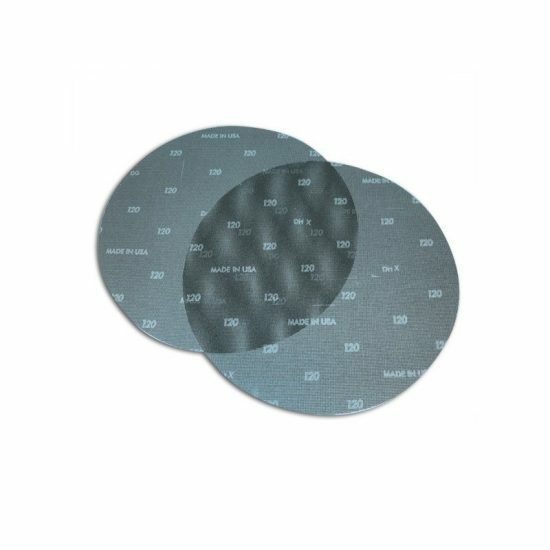 125mm Moss type PSA backing pad for paper silicon carbide discs. Medium/Hard density with centre hole for water feed. 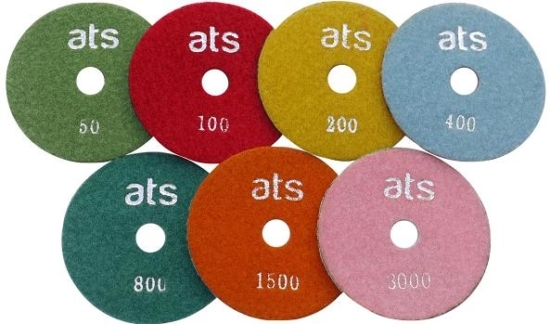 Medium density PSA or Velcro backing pad ideal for use with SAIT Silicon Carbide discs. 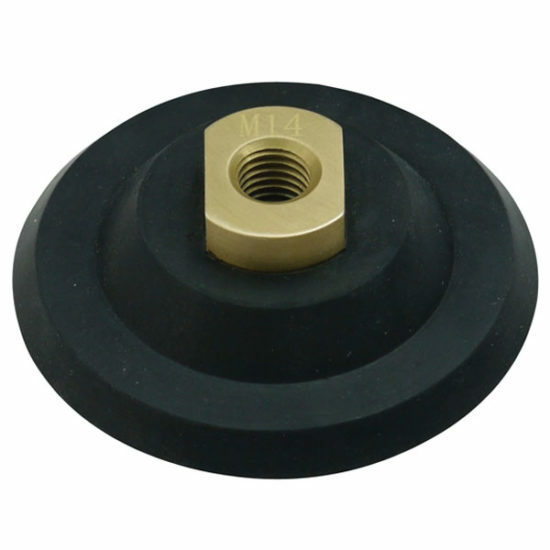 M14 thread, long lasting with a hard wearing polyurethane foam. Use with spray adhesive to attach the plain paper disc (PSA backer). 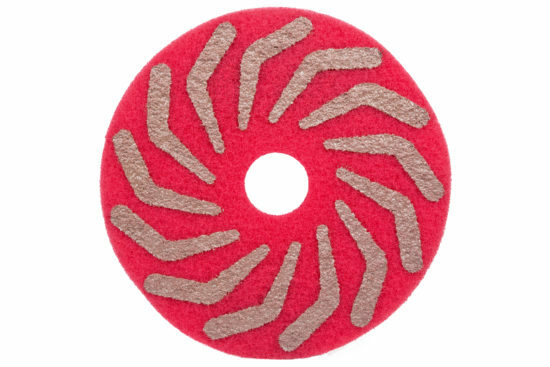 Use in conjunction with the velour backed pads (Velcro Backer). 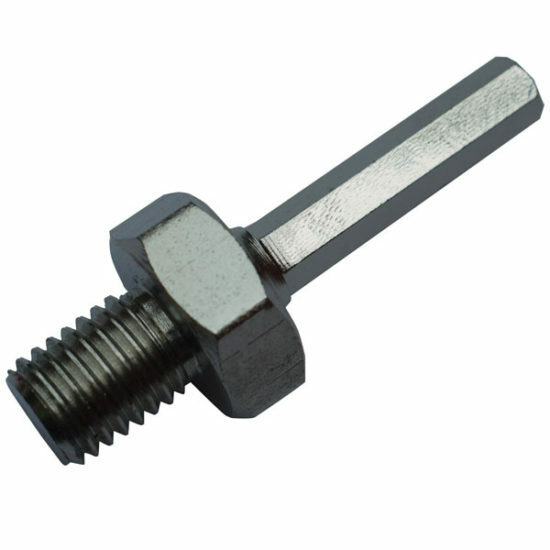 Convert any M14 female fitting to an 8mm Hex shaft for use in a standard drill chuck. 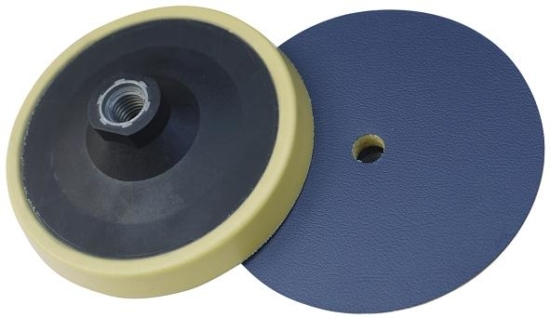 Ideal for converting polishing pad backers for use in drills. 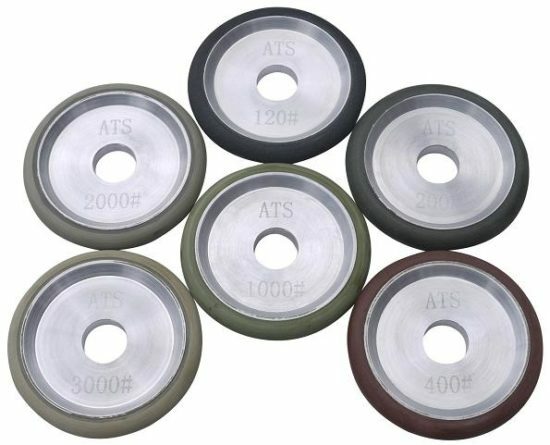 For use in mechanical edge polishing machines or floor polishing machines with fitment designed to accept snail lock backed pads. 5mm thickness of resin bonded diamond with a rubber cushion between the polishing head and backer to absorb vibration. 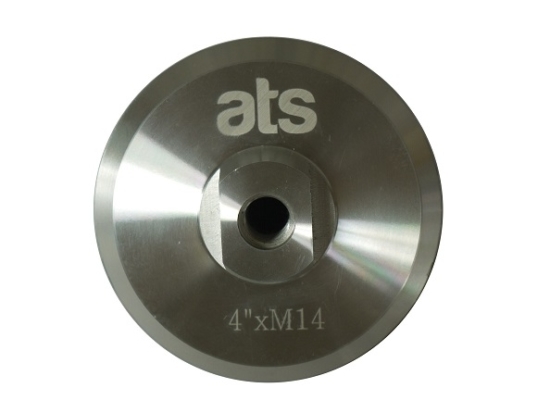 We also offer an M14 to Snail Lock backer to convert the 100mm pads for use on standard hand held polishers. Available in 100m or 125mm. 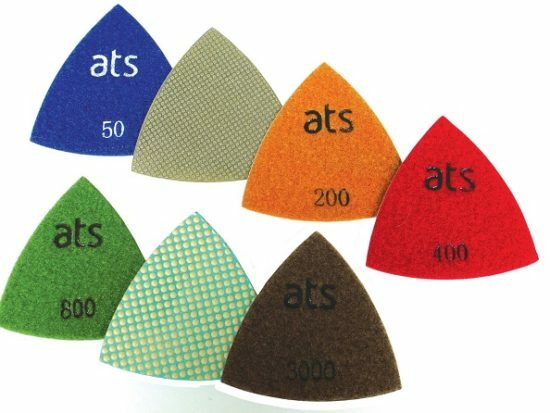 These are the same pads as our 100mm Premium Dry diamond Polishing pads but produced in a shape to fit Oscillating multi tools. 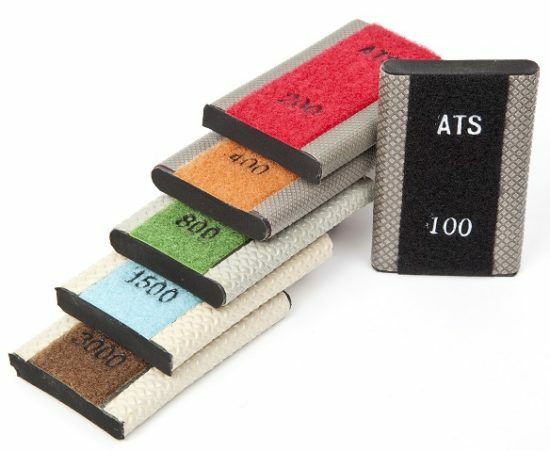 Velcro backed and designed to be used dry only.